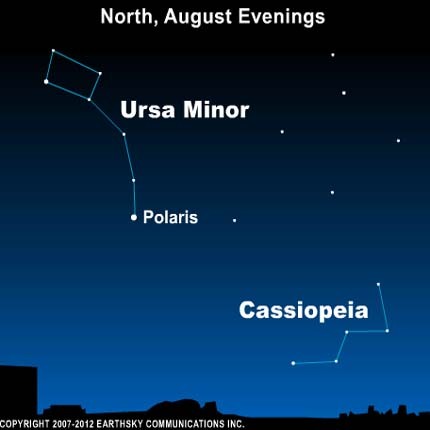 One of the most recognizable constellations is Cassiopeia the Queen, which now can be found in the northeastern sky a couple of hours after the sun goes down. This constellation has the distinct shape of a W, or M, depending on your perspective. Cassiopeia is associated with a queen of Ethiopia. She is sometimes called the Lady of the Chair. Queen Cassiopeia was said to have offended the sea nymphs, or Nereids, by boasting that her own beauty was greater than theirs. It is said that the nymphs appealed to Zeus, king of the gods, who caused Cassiopeia to be placed upon a throne in the heavens – but in such a location that, for part of each night, she appears upside-down! 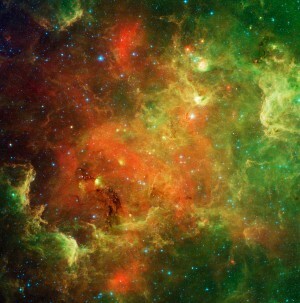 This constellation lies in front of the starlit trail of the Milky Way. It is a lovely part of the heavens to scan with binoculars. Also, if you wait until later at night, you will see the constellation Perseus rise in the northeast around midnight. This constellation is the “radiant point” of the Perseid meteor shower, peaking this year on the morning of August 13. Great year for the Perseid meteor shower! Site contents copyright © 2019 Recorder Online	except as noted. All rights reserved. | 83 queries in 1.097 seconds.